Cards are NM-MT unless noted. Joe Frazier, NM-, $1.50; EX(o/c), $1. 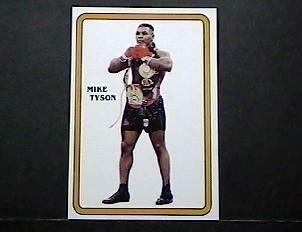 1988 Question of Sport Jr.
Sugar Ray Leonard 3-D prototype, S/O. 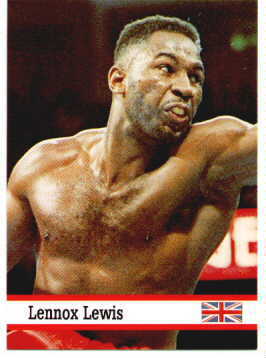 Evander Holyfield, VG (hand-cut), $1. 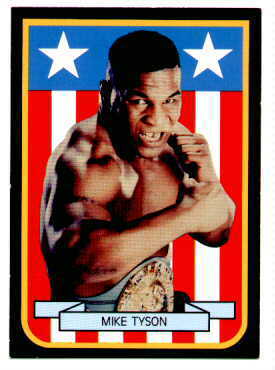 Mike Tyson (vs. Ruddock), VG (hand-cut), $2. Complete set of six, $11.95. 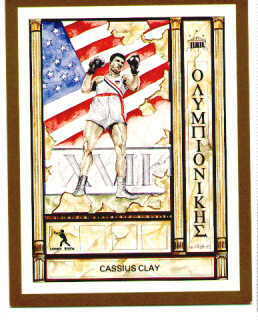 Evander Holyfield, $3; EX, $1.50. 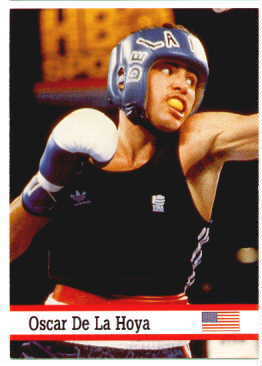 Oscar De La Hoya, $5; NM-, $4. 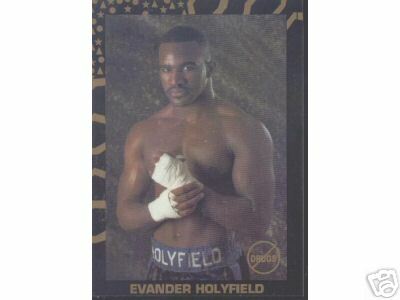 Evander Holyfield, $5; VG, $1. 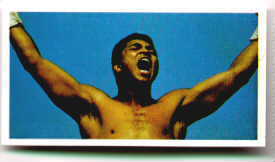 George Foreman (postcard), $2; poorly-cut, $1. 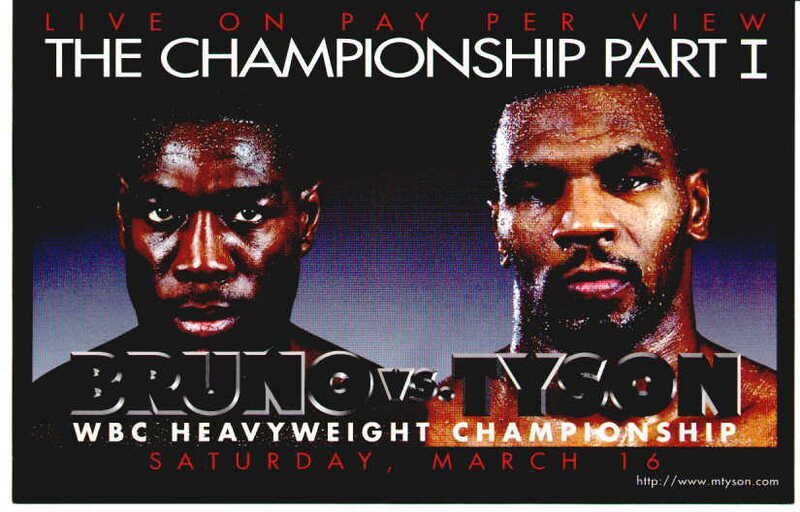 Terry Norris (red), $1; EX, $0.50. 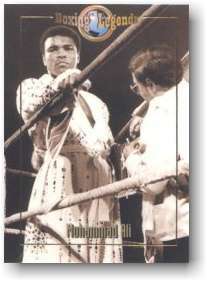 George Foreman, $3; NM-, $2; VG (hand-cut), $1. George Foreman (w/Nolan Ryan), $2. 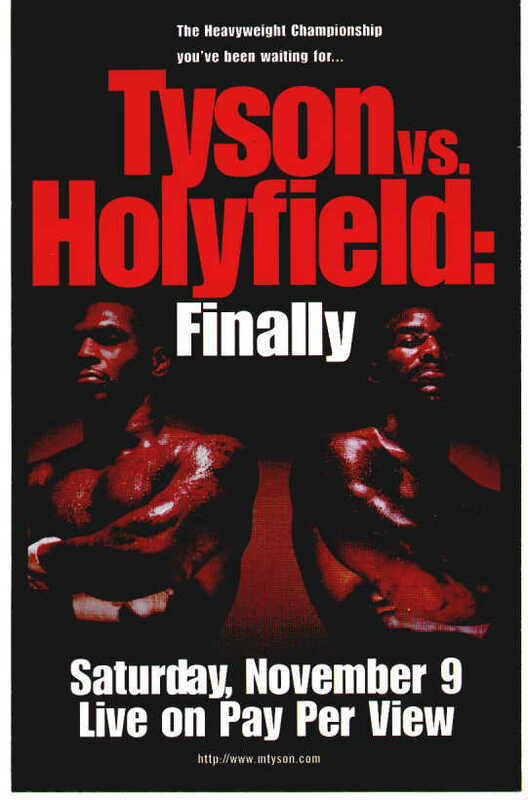 Evander Holyfield, $3; GD (back damage), $0.50. 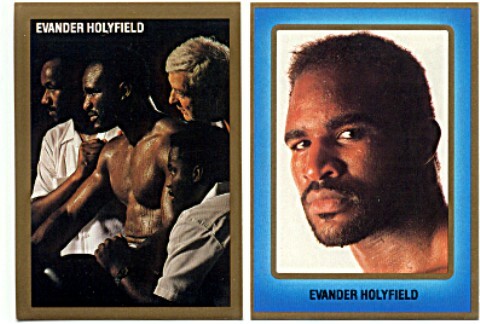 Evander Holyfield uncut 3-card sheet w/Lindros (hockey) & Gehrig (baseball), $10. 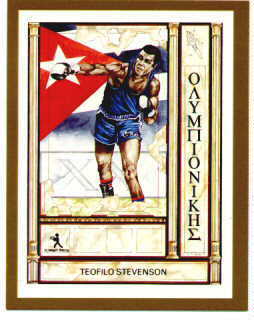 Julio Cesar Chavez error card (mispelled Chavaz), $5. 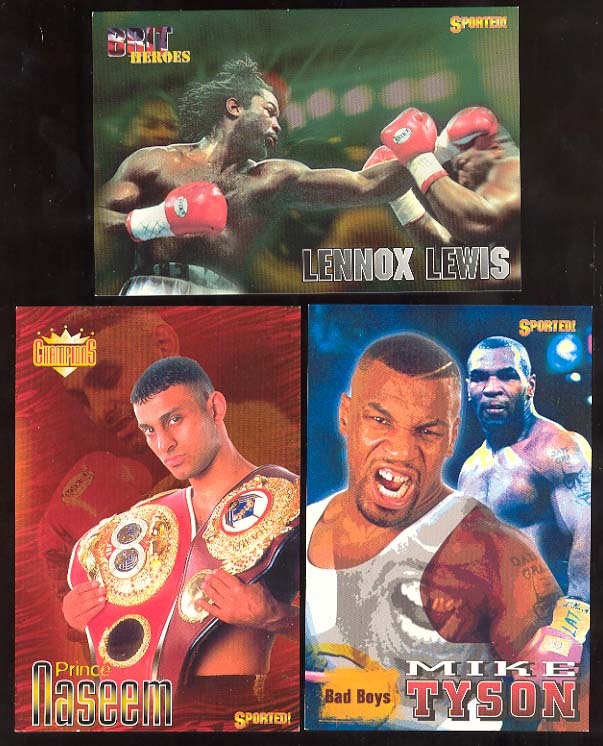 Riddick Bowe (silver), $2; EX, $1. 1993 Ritchie "Movers, Maulers, ... etc." 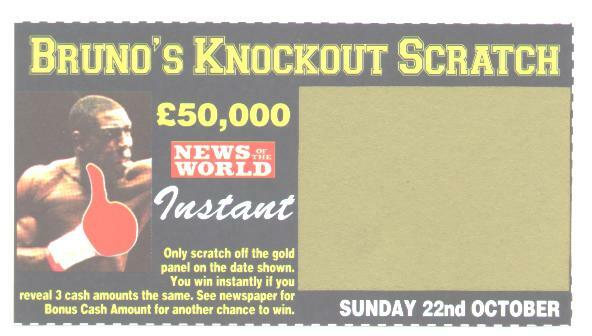 Nigel Benn (playing soccer), $1. 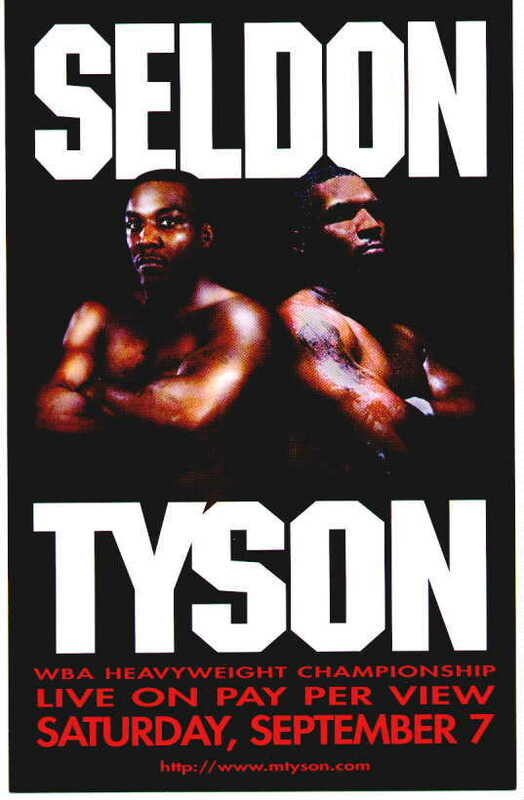 Mike Tyson vs. Bruce Seldon, $3  (Image); GD, $1. Oscar De La Hoya, $8; EX, $5.